Birmingham City is the little brother to Aston Villa in comparison with success on the football field. They had never won a title in the highest league or the FA Cup (the reach the FA Cup final twice, in 1931 and 1956). They have played several seasons in the top league, but more often in the lower divisions. On spare occasions has the team been present in European competitions. Some of the profiles over the years are Trevor Francis, Kenny Burns and Bob Latchford. 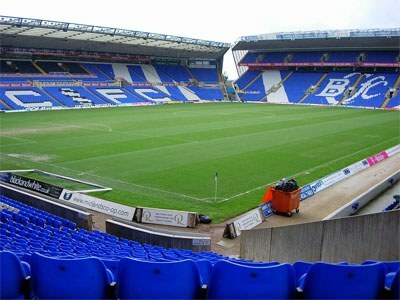 St Andrew’s Stadium, the home of Birmingham City FC.